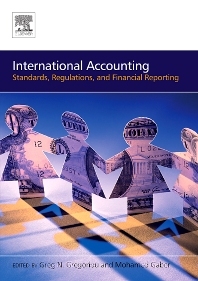 This book includes a wide range of topics that deals with international accounting standards, regulations, and financial reporting. The book is a timely collection of several original research papers written by well-known authors and experts in the field from countries around the globe on very important and emerging issues in international accounting. Due to the adoption of “International Accounting Standards (IAS) Regulation” by the European Parliament in 2002 (N0 1606/2002), listed companies in the EU capital markets are required to implement IAS by 2005. This regulation is a revolutionary one, and therefore, there is a need for the type research that focus on the lobbying activities towards the International Accounting Standard Board (IASB). This book includes an in-depth coverage of such lobbying activities as well as an extensive research papers that focus on the content analysis of the comment letters received by International Accounting Standards Board (IASB). Fair value accounting has gained some special interest in recent years. The book includes several research papers on Fair Value Accounting and its application in different countries. Other topics covered in the book include auditing, taxation, and accounting education in several countries. As an added value, the book include several chapters that should be viewed as educational tools for countries that do not have financial and technical resources to establish their own accounting and reporting standards. So, it is of critical importance for such countries to have a model to use for their financial reporting standards, and as such, the book includes research papers that explain how to adopt international financial reporting standards in such countries. Experts in the field from different countries including Australia Belgium, Brazil, Estonia, France, Germany, Italy, Japan, Malaysia, Singapore, New Zealand, United Arab Emirates, United Kingdom, and the United States join forces to bring the latest development in the international accounting standards and financial reporting. This book will be a very valuable resource for colleges and universities that have a course in international accounting as a part of their undergraduate or graduate curriculum. As well, the book will serve as a useful reference at any academic or professional library worldwide. Professional accountants (qualified) who need to keep current on the various topics included in this book. The book may also find a market on post grad course on International Accounting courses at University. Mohamed Gaber has received his M.B.A., and Ph.D from Baruch College (CUNY). He has published in scientific journals such as the Journal of Pensions and Derivatives Use, Trading and Regulation among others and has several book chapters. Mohamed Gaber is Associate Professor and Chair, Department of Accounting at State University of New York, College at Plattsburgh.